Unlock an exotic fountain of health and vitality with Acai! 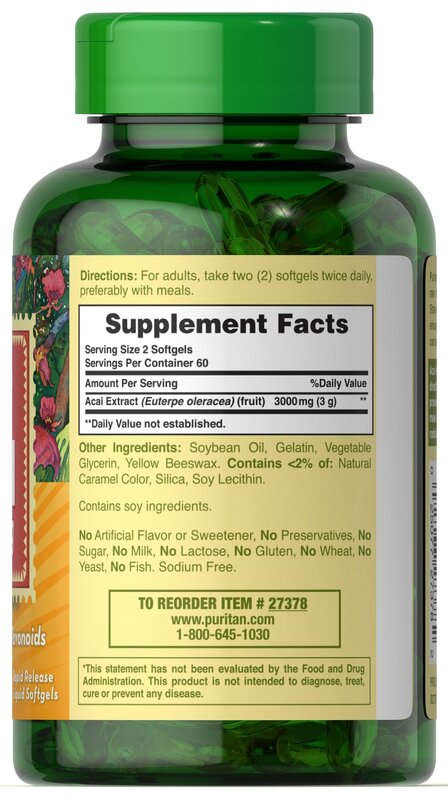 ** This Brazilian superfood is valued as a tonic for overall well-being. 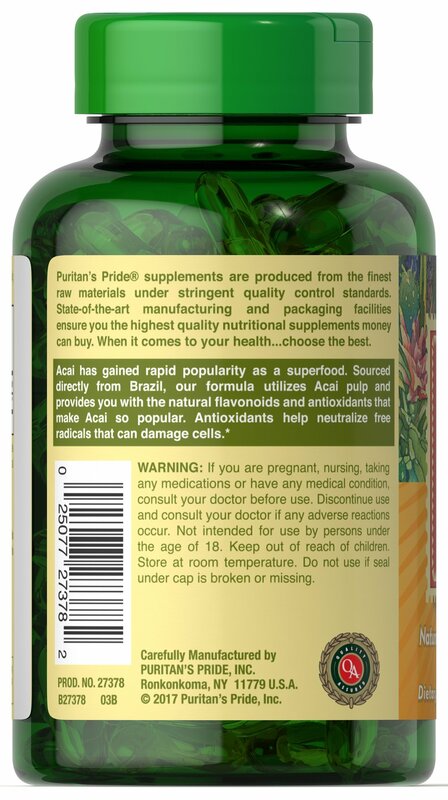 ** Now enjoy what the lush forest has produced in a super-concentrated formula that delivers three times the potency of most other Acai products on the market today. 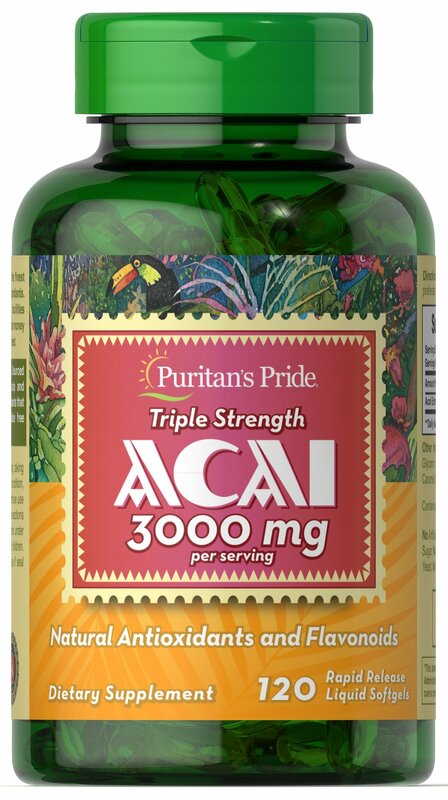 Contains 3000 mg. Acai per serving (two softgels).